The winter weather can do some major damage to your flowing locks. It can dry out your scalp & make your hair brittle. So how about some new products to help your hair during this cold weather season! Moroccan Oil Hair Treatment - Nourishing & residue-free formula can be used as a conditioning, styling & finishing tool (it even speeds up drying time!) This treatment repairs the hair by providing it with lost proteins for strength; fatty acids, omega-3 oils & vitamins for shine; & antioxidants for protection. It absorbs instantly to fill gaps in hair created by heat, styling & environmental damage. "Prep It" Comb - The prep it comb is a tension comb that will get your hair ready for heat styling by smoothing hair for shiny, beautiful, easy styling. Osis Dust It Mattifying Powder - It is a lightweight powder that helps create texture in the hair while giving it a soft matte finish, It has long lasting hold while maintaining a natural feel to the hair. 2 - Like My Scuttle on Facebook! 3 - Leave a comment on the My Scuttle Facebook Page telling me what you love about your hair! 4 - Tweet about the Giveaway: "Does your hair need help this season? @lovemyscuttle is doing a great hair product giveaway on her blog! 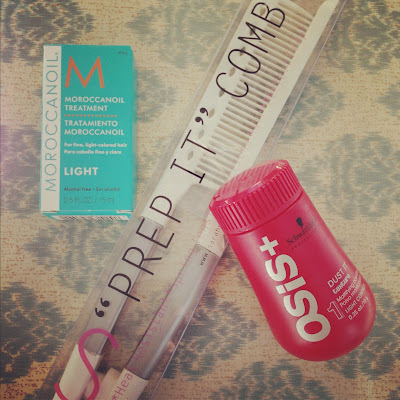 http://bit.ly/V6lwNO #hairhelp"
Each step is an entry so your name can be entered up to 4 times into the random drawing for these goodies!! The giveaway is open until Tuesday, December 4th at 11:59pm. I have always wanted the Moroccan oil! I already liked you on Facebook! I've heard so many good things about moroccon oil, would love to try it! Moroccan oil is my absolute fave but I've never tried the Mattifying Powder & love to try new things! 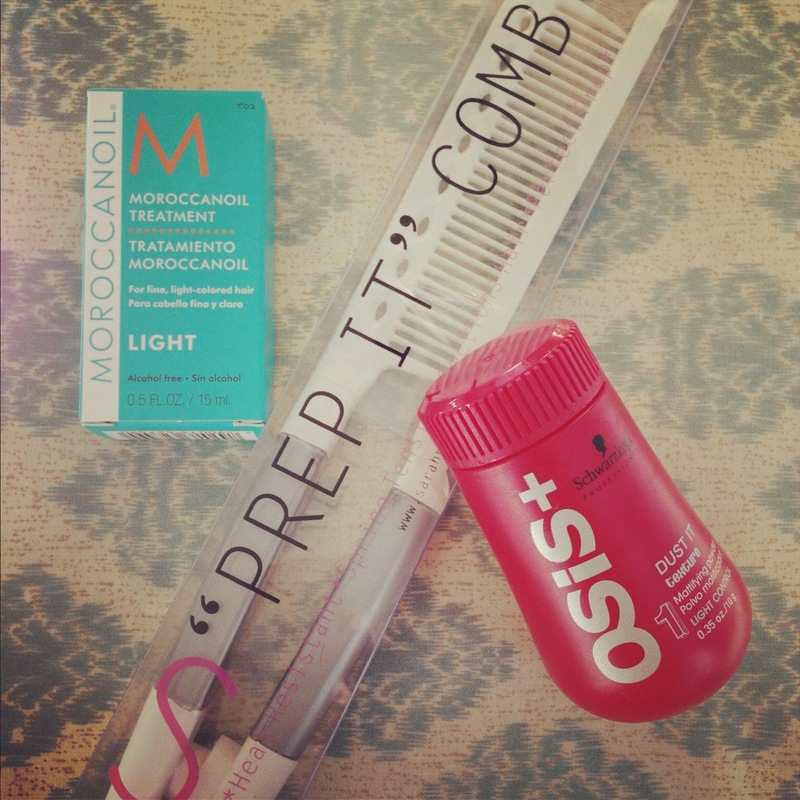 I would love to win the Moroccan Oil Treatment! My old roommate used it and her hair was always so beautiful!